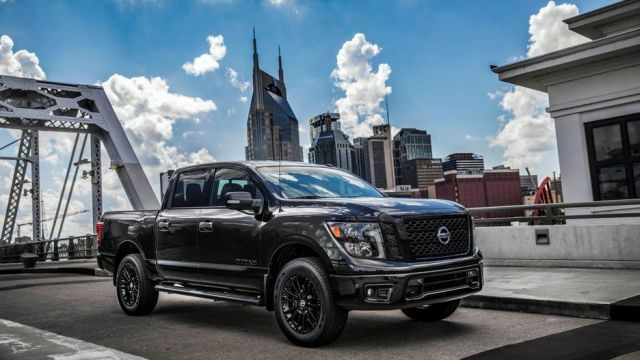 The all-new 2020 Nissan Titan comes with a small exterior and interior upgrades. The full-size pickup truck offers amazing performances and it is available in numerous trim levels and body configurations. The space from the inside is generous and Titan also offers one of the best warranty in the segment. The 2020 Nissan Titan is arriving with a single powertrain, just like the current model. The upgrades for the next model are minor and barely visible. On the other hand, the automaker feels there is no need to provide further changes at the moment. Titan is also offering a Midnight Edition Package that adds a black appearance and it looks impressive. The upcoming 2020 Nissan Titan will suffer slight exterior changes. The automaker clearly feels there is no need for further upgrades right now. After all, the full-size pickup suffered a redesign two years ago. Latest redesign made most of the features larger than before. That includes the headlights, front grille, and mirrors. However, the 2020 model will get slightly bolder front and rear bumpers. Titan is once again available in different body configurations and it offers numerous bed sizes. Full-size pickup truck offers a great interior design with great comfort. The cabin is quiet and the ride feels smooth. There will be two rows of seats and a room for five persons. Leather seats are optional once again which means the cloth upholstery is standard. However, even the base model with cloth seats provides good comfort for the full-size pickup segment. If you opt for a Platinum Reserve trim you will get leather seats with heating and cooling options. Whatsoever, this trim level adds more wood materials and chrome details, mostly around the dash. The greatest addition on the 2020 Nissan Titan will be a Midnight Edition Package. This package is available on the SL and SV trim levels and is optional. It literally paints all of the parts in black. That includes exclusive 20-inch black alloy wheels, a body-colored grille, and bumpers. Even the headlights and fog lights are black-trimmed. Black badging, door handles and mirrors are also getting a black-out work. Midnight Edition Package also offers a Charcoal interior color scheme. 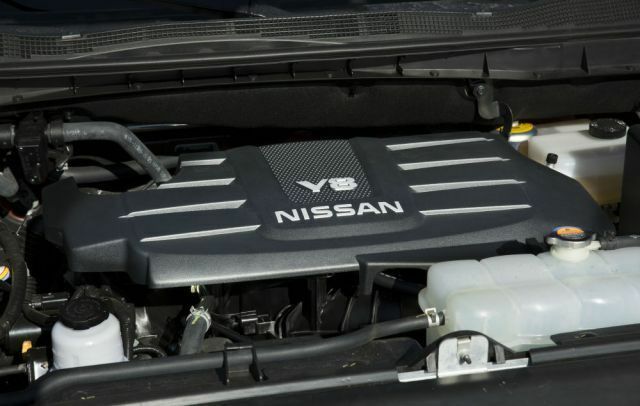 Under the hood, a 5.6-liter V8 remains the only powertrain option. This gasoline engine can produce 390 horsepower and 394 lb-ft of torque. It offers a standard rear-wheel-drive setup and a 7-speed automatic transmission. 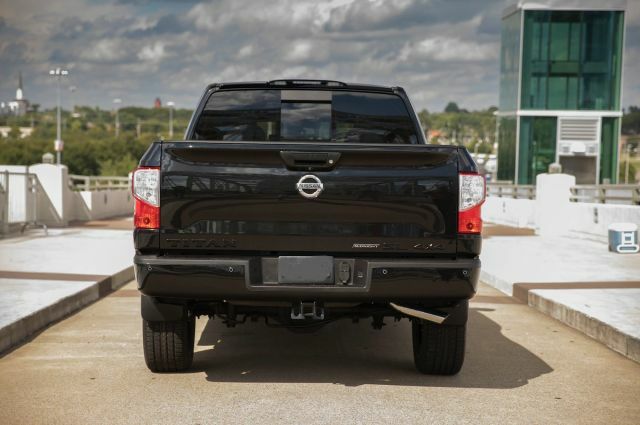 The 2020 Nissan Titan can tow up to 9,750 pounds and it sprints from 0 to 60 mph in 6.1 seconds. A four-wheel-drive configuration is optional and if you want a diesel engine you’ll have to opt for a Titan XD model. A 5.0-liter Cummins engine generates 310 hp and 555 lb-ft of torque and it can tow up to 12,000 pounds. It comes with a 6-speed automatic gearbox. The forthcoming 2020 Nissan Titan will cost around $32,000. Range-topping Platinum Reserve model is priced at $60,000 and the Midnight Edition Package cost an additional $2,000. The full-size pickup truck will hit the markets in the first half of 2019.